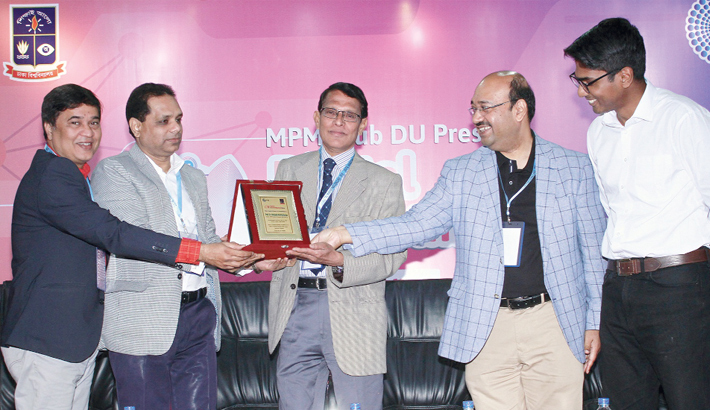 Conference on technology-driven marketing tools held at business faculty of Dhaka University recently. Business faculty dean Prof Shibli Rubayat Ul Islam was inaugurated the daylong programme tiled Digital Marketing Conclave at Habibullah Conference Hall. Over 300 professionals and students took part in the event. Jagannath University Vice Chancellor Prof Mijanur Rahman attended the discussion panel as chief guest later in the event organised by MPM Club. Marketing department Chairman Prof Mizanur Rahman, Rupayan Group Chief Executive KM Ali, Nagar Chief Executive Tanvir A Mishuk, Bangladesh Marketing Society President Ashraf Bin Taj, GTV Managing Director Aman Ashraf Faiz, Eskimi South Asia Managing Director Lutfi Chowdhury, Banglalink digital marketing head Mukit Ahmed, Prothom Alo Digital Business Manager Jabed Sultan Pias' and Mindshare Associate Director Synthia Binta Wali were present among others on the occasion.